SCSI 3 LVD Active Terminator - SCSI 3 LVD Active Terminator - HD68 Male. 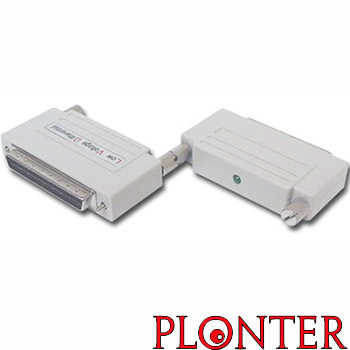 Active Terminators provide a much more stable form of termination than Passive Terminators and are suitable for those longer, higher data rate SCSI cable runs. Terminators designated as 'Active' use a voltage regulator to optimize signal voltage as opposed to those designated 'Passive', which only regulate the line impedance.